System setup and management are further simplified with the board’s automatic video source presence and format selection4. Matrox Clarity UHD can simultaneously acquire multiple streams such as four HD (1080p60) or two UHD (4K) video streams2 and reliably transfer these off board using its efficient PCIe® 2.0 x8 host interface. 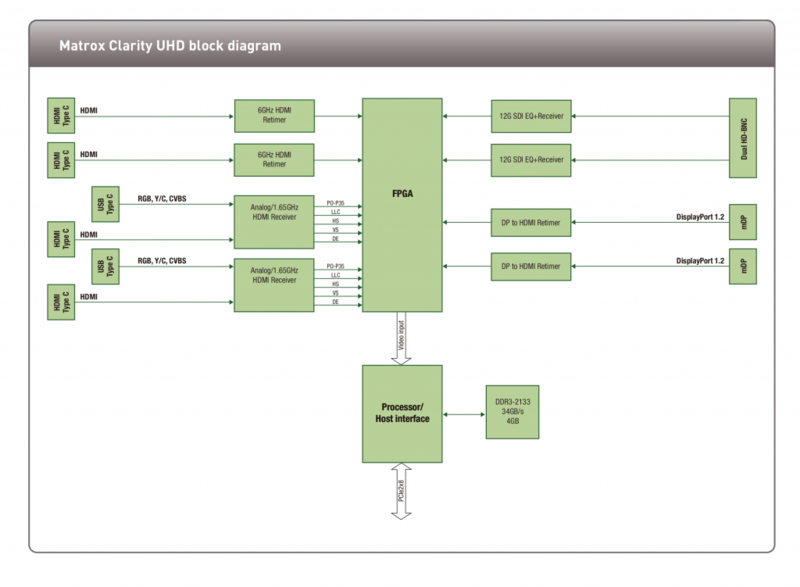 In addition to video capture, Matrox Clarity UHD can offload video pre-processing tasks such as scaling, compositing and de-interlacing from the host processor. An optional H.264 encoder supports a range of profiles, from the baseline one up to the high 4:4:4 predictive5 one, for the broadest choice in encoded video quality for recording and distribution. Video pre-processing and H.264 encoding are designed to keep up with the board’s multi-stream acquisition capability. 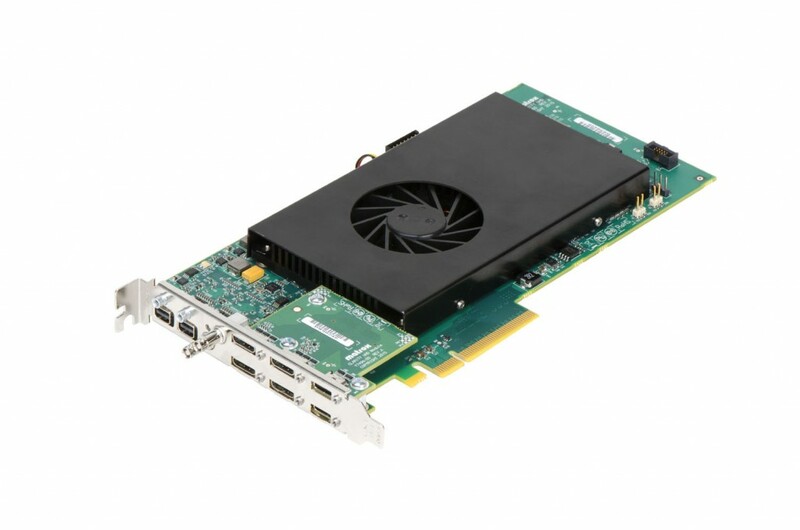 Complementing the Matrox Clarity UHD capture card is the Matrox Imaging Library (MIL), which provides a comprehensive collection of software tools for developing imaging applications. MIL features interactive software and programming functions for image capture, processing, analysis, annotation, display and archiving. These tools are designed to enhance productivity, thereby reducing the time and effort required to bring your solution to market. The MIL API is not only intuitive and straightforward to use but it is also portable. It allows applications to be easily moved from one supported video interface or operating system to another, which provides platform flexibility and protects the original development investment.